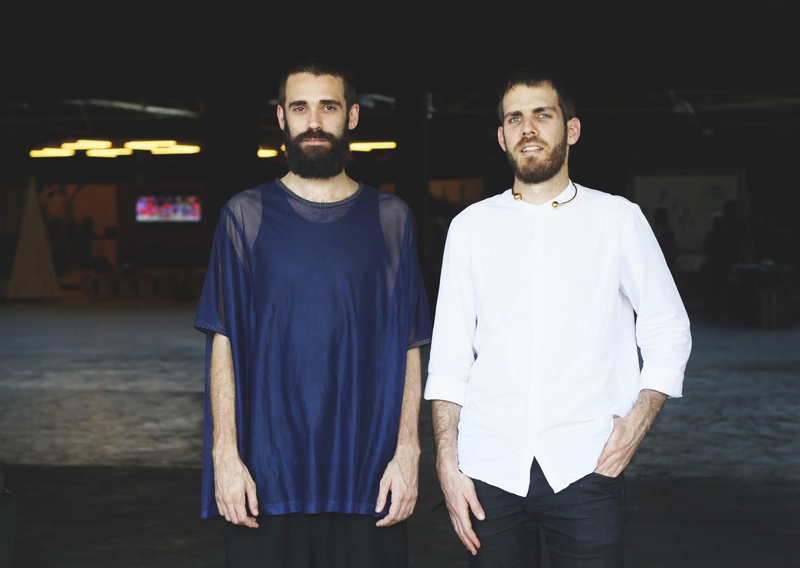 AMES, Iowa — Daniel Fernández Pascual and Alon Schwabe, spatial practitioners who together are known as Cooking Sections, will teach a master class April 10-12 at Iowa State University and present a public lecture Wednesday, April 12, in Urbandale. Their presentation, “Speculation on Disappearance,” will begin at 5:30 p.m. at the William G. Murray Conference Center at Living History Farms, 11121 Hickman Rd., Urbandale. Cooking Sections’ presentation will conclude the intensive three-day OPN Master Class titled “Climavore,” which will take place in the Hansen Exchange, King Pavilion, ISU College of Design (April 10-11), and at Living History Farms (April 12). Thirty students majoring in architecture, community and regional planning and integrated studio arts will work with Fernández Pascual and Schwabe to investigate “how to adapt our diet to a globally financialized landscape and what to eat during periods of severe drought or increased soil salinity,” they said. Primary support for the master class is provided by OPN Architects in Des Moines with additional funding from the ISU Department of Architecture. Daniel Fernández Pascual holds a Master of Architecture from ETSA Madrid and a Master of Science in urban design from TU Berlin and Tongji University, Shanghai. He is a PhD candidate at the Centre for Research Architecture at Goldsmiths, University of London. Schwabe holds a Master of Arts with honors in research architecture from Goldsmiths, University of London, and has a background in theater and performance. They co-founded Cooking Sections in 2013 to explore the systems that organize the world through food. Using installation, performance and mapping, their research-based practice operates within the overlapping boundaries between visual arts, architecture and geopolitics. Recent projects include “The Empire Remains Shop,” a public installation that speculated on the possibility and implications of selling back the remains of the British Empire in London. Their book about the project will be published by Columbia University Press in 2017. They have performed and exhibited extensively in the United Kingdom and internationally; their work has appeared in exhibitions and collections at the V&A, London; Glasgow International; Arnolfini, Bristol, England; Fiorucci Art Trust, London; The Showroom, London; Centre for Contemporary Arts, Glasgow; De Appel, Amsterdam; dOCUMENTA(13); Neue Nationalgalerie, Berlin; HNI, Rotterdam; Museet for Samtidskunst, Roskilde, Denmark; CA2M, Madrid; and UTS Art, Sydney, among others. Cooking Sections was part of the 2016 Oslo Architecture Triennale, 2016 Brussels ParckDesign and the US Pavilion at the 2014 Venice Architecture Biennale. Their writing has appeared in Volume Magazine, The Avery Review and The Forager and in publications by Sternberg Press and Lars Müller. Fernández Pascual and Schwabe have been selected for a residency at Headlands Center for the Arts, San Francisco, where they will research the financialization of the environment in California. They previously were residents of the Delfina Foundation’s Politics of Food program. They lecture regularly at international institutions and lead a studio course at the Royal College of Art, School of Architecture, London.